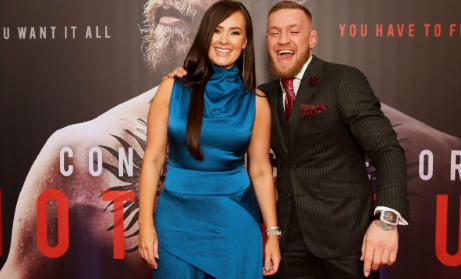 Conor McGregor has welcomed his second child into the world after his girlfriend Dee Devlin gave birth to a baby. The UFC fighter shared the news to his legion of followers with an image of him holding his newborn child, while walking alongside his first born son Conor Jnr. In the posts, the 30-year-old two-weight champions said: “Heading home with my two healthy babies and an energized and healthy SuperMam. Dee confirmed she was expecting her second child in the summer and gave birth at Coombe hospital in Dublin.